Irrespective of whether you are planning your honeymoon or need some quiet time with your partner, but without the kids, Mexico has a range of adults-only resorts on offer. These range from super-luxurious resorts where it is necessary to dress up for dinner, to others where no one bothers to get dressed at all. The Royal Hideway is a few minutes’ drive from Playa del Carmen and offers visitors absolute luxury. The resort has 200 rooms and offers similar facilities as is common at elegant European resorts, with beautifully landscaped gardens, tranquil water features throughout the grounds of the resort and grand staircases. The luxury goes beyond the accommodation to the on-site restaurants, which have made a shift from the usual buffets that are offered at so many all-inclusive resorts. The resort is particularly popular with honeymooners and couples as they are offered the privacy they seek. Iberostar Grand Hotel is a grand, all-inclusive resort located on a beachfront property a mere five minutes from Playa del Carmen. Although the rooms are quite basic in its decor, the terraces and large spaces available on the suites with an ocean view offers the visitor a sense of relaxed luxury. The resort has 310 rooms, a spa, and a cigar bar and offers guests a host of fun activities. The concept termed ‘Gourmet All Inclusive’ was pioneered by El Dorado Casitas Royale, a top-end resort. It was designed to serve couples who are looking for an all-inclusive, carefree, romantic, upper-class setting. The resort is located in a secluded section of the property of its sister resort, El Dorado Royale, on the Riviera Maya. It offers visitors spacious casitas with thatched roofs and a view of the infinity pools. All the accommodation is extremely private. Guests are able to enjoy all the amenities offered by the resort, including sporting activities, a spa that offers a full service and seven intimate restaurants. This is a luxury resort located in Playa del Carmen. It was previously named Ikal Del Mar and offers guests not only a long stretch of beautiful beach, but also a tropical jungle. There are only 30 villas and this is where adults looking for seclusion and privacy should head. The suites are large at 1000 square feet and offer visitors romantic decor, such as canopied beds, as well as outdoor showers and hammocks. Couples have the option to dine wherever they choose within the resort, be it in their villa, next to the pool or on the beach. They can also choose to have an intimate dinner at the on-site restaurant and sit on a terrace overlooking the beach. This resort in Riviera Maya offers visitors 12 swimming pools, eight bars, seven restaurants, a large Pevonia spa, as well as a 24-hour butler service. It is a large resort, holding in excess of 400 rooms. However, you will steel feel special and spoilt as you will be offered elegant, large suites and attentive, friendly service. Couples will be able to enjoy privacy on the stunning white-sand beach which is only a few steps away from their accommodation. Aura Cozumel Grand Resort is located on the island of Cozumel, which is just south of Cancun. It gained popularity after Jacques Cousteau brought it to the attention of the world when he discovered the spectacular reefs along this coast during the 1960s. This is a traditional resort with calm pools of water, accommodation which overlooks the ocean and romantic sunset dinners for couples who want some privacy. Adults-only resorts may appeal to honeymooners and couples who need a break from the children, but to some people it means being able to shed their inhibitions and clothing. Hidden Beach Resort in Cancun is a popular clothing optional resort. It offers visitors 42 suites on the beachfront, swim up bars, and a 24-hour room service. Hotel Casa Velas is an award-winning resort which offers adults pure luxury on the Riviera Nayarit. It targets couples and honeymooners looking for a romantic break from the children. 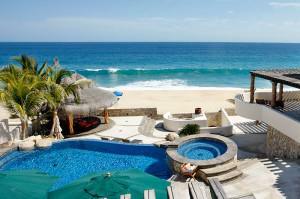 The resort is located on Banderas Bay and has only 80 suites, making it extremely private. Some of the suites include Jacuzzis and private plunge pools, allowing you to enjoy privacy and seclusion. The Temptation Resort Spa in Los Cabos is the perfect spot for singles or younger couples who want something more upbeat. This is an over-21 resort which offers guests a Jacuzzi lounge bar, which overlooks the Sea of Cortez. It also has swim up bars, where tops are an optional feature, and a spa. The decor of the 133 rooms on offer is minimalist and modern. The disco has theme nights and the nightlife can become quite wild. Although some of the other resorts listed here offer more luxury than Golden Crown Paradise in Puerto Vallarta, all their suites offer guests an ocean view. There are also several outdoor activities to participate in, such as golf and tennis, or you could laze about in the spa. The resort offers great all-inclusive packages, including free gold, unlimited drinks until 2am at the nightclub and 24-hour room service. Prior to booking at one of these top adults-only resorts, you should research exactly what is on offer at each one of them. 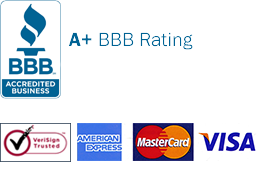 This will allow you to visit the most appropriate resort for your needs. You should also ensure that your paperwork is in order for compliance with the rules and regulations within Mexico. This includes purchasing Mexican car insurance prior to leaving home. 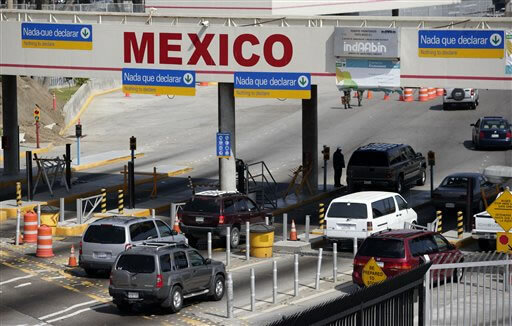 It is possible for you to obtain this insurance policy at the border, but since there are always long queues at the border, you may well waste a couple of hours there and still not obtain the most suitable policy.You can save on your Mexican auto insurance costs by purchasing from this MexInsuranceStore URL. The best option is to go online and do a search for Mexican auto insurance. You will soon be faced with a range of providers, but make sure that they are licensed to provide Mexican vehicle insurance. You have the option of purchasing liability only or comprehensive policies and the best choice will be dependent on whether your vehicle is still under finance, and its total value. If you opt for liability only, you will only obtain cover for damage and injury to third parties. A comprehensive policy will cover your damage and injuries, as well as the other parties involved in the accident. It is a good idea to consider adding some of the optional extras to your policy as you may well need facilities like legal assistance, bail bond assistance and medical assistance after you have been involved in a vehicle accident. You should bear in mind that you will be visiting a foreign country and you do not want to have to remain in the country because you have insufficient insurance coverage. La Paz is a resort city dotted by pine trees. It has warm tropical climate and occasional cooling breeze. This is the place I often hibernate to away from the freezing winter season in Canada. 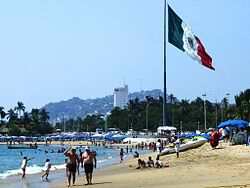 Its affordable plus taking online Mexican auto insurance makes it a complete deal. Irvine is a great place to be. However, you need to stretch out for fresher air down South. Ensenada is among some of the important towns in Baja Norte that you ought not miss out in your itinerary. Grab your Mexico insurance policy online and be ready for the wonderful adventure. Mexican auto insurance coverage is always more expensive at the border points due to the captive audience at the border. Take your time early enough online for the best and most affordable insurance cover online. Stray dogs and cats are common in Mexico. You may be tempted to get closer to them or your children may want to play with them. Avoid them as they are not vaccinated and could carry dangerous infections. More importantly, make sure that Medical Assistance is part of your Mexican insurance policy so that your emergency needs can be catered for soonest possible whenever such a risk occurs. With choices of luxurious private destinations available in Mexico, there’s no reason why you can’t visit this country. It only takes a reasonable Mexican insurance to see its places with their magnificent splendour. You can seek for companies which sell Mexico insurance. Also you can purchase quality insurance from Mexican Insurance Store. During the culinary fest, thousands of guests gather around the huge plaza, taking food samples from the popular Mexican restaurants within the city. Research ahead of time if you want water adventure in the beaches of Mexico. There are lots of destinations you can reach through driving. Traveling to a different country like Mexico can be an emotional challenge. This is true especially to those first timers.